Writing the weekly devotional post for my church has been an incredible experience. It has challenged me in ways that quite frankly I was not expecting. I think it has caused me to grow as a believer, a student of the Bible, and as a writer. I truly have no idea what kind of readership the posts have, beyond the occasional comment left, which I greatly appreciate by the way. Even if I only have three or four readers, I am determined to keep writing. My prayer is the posts help you – encourage you toward the joy of experiencing God’s Most Holy Word regularly. Today as I was prayerfully pondering what to write in this week’s post, I recalled a post I wrote on May 11, 2014, named “Consider Jesus”. As I was re-reading the post I enjoyed it so much that I was tempted to just re-post it for this week. Then I thought maybe it would make more sense to continue the theme of “Considering Jesus”. This line of thought somehow drew me to the Luke 24 passage (Luke 24:12-32) about the Emmaus road. Let’s consider the first two verses of this amazing story. Maybe you wouldn’t consider verse twelve the first verse of the Emmaus road story, but I do because it leaves the timeline of events unbroken. Peter runs into the tomb where the dead Jesus was laid, only to find it empty. Then, “…on that same day…” verse thirteen tells us, two men were headed to a small town seven miles from Jerusalem named Emmaus. As we discover in the text, these two men were consumed by, and in conversation about what they considered the most significant events of the city, “The things concerning Jesus of Nazareth…” (Luke 24:19). As the story progresses Jesus joins them on the road and immediately joins them in conversation. It probably took them around two hours or so to make the seven-mile journey. Can you imagine having an uninterrupted two hours learning from Jesus? Without revealing Himself to them, Jesus asks what conversation is making them so sad? Cleopas freaks out at the question, simply flabbergasted that anyone in Jerusalem could miss what had happened the last few days. Then the companions, probably Cleopas as the main orator, relate to Jesus the series of events. Jesus listens patiently, but then He artfully puts it all into perspective for them. They were feeling defeated. Jesus explains to them that they were not considering the whole story. This does not mean defeat, but rather victory! Consider the whole counsel of God! We don’t know, but these two may have given up had Jesus Christ not intercepted and corrected their thinking. I grow weary of hearing how unimportant the Old Testament is to modern man. If anyone ever tells you to ignore the Old Testament point them to Luke 24:27. Jesus demonstrated how important the whole Word of God is to these two men. If you ever find yourself discouraged and feel like quitting, don’t! Stay in the Word of God, encounter Jesus and allow Him to adjust your perspective! 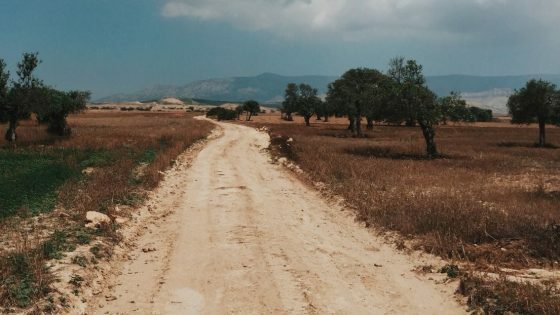 Walk the dirt road with Jesus. 2 Replies to "What Happened on the Emmaus Road? - Part 1"
Thank you Mark, you are so spot on with the neglect the Old Testament receives. Many so called “evangelists ” or those who have the audience of thousands each week even public speak of the “errelevance ” of the Old Testament or the even the Bible entirely. I never thought about the amount of time they had talking to jesus. Great revelation. Wow! What a life changer as their perspective on Jesus had to change incredibly beyond what can be expressed in words.